A wallet for storing cryptocurrency is the first thing every investor should take care of, who wants to invest his money in digital currencies. But in particular cryptocurrency wallets will be important for those who are engaged in mining or investing coins for a long time. Many people prefer to store cryptocurrency only on special trading platforms – exchanges, considering this place a convenient and reliable storage where you can quickly transfer, buy and sale coins. However, keeping your investments on such resources for digital currency trading is a very risky business, as all access codes to your finances are in fact in the hands of the project’s developers meaning strangers. In the worst case, if the exchange suddenly goes broke or just closes for any reason, you will not get your cryptocurrency back. It’s not a disaster if only a small portion of your crypto finance was stored there. It is not a total loss. But if you had huge amounts of money on the exchange account in the form of several Bitcoins, then in this case storing them on the exchange is a very high risk. For someone, of course, this amount in a few Bitcoins may seem very small, but for most people there is no way they can lose this money. That is why, in the first place, there is a task for every crypto investor – to secure your funds as much as possible and to reduce the risks of their loss. For this purpose there are special wallets where the stored coins are reliably protected and only you have an access to the account. However, not all cryptocurrency wallets are the same and at the moment they fall into several categories that will differ greatly. Several topical issues arise from this. Which wallet is the best to choose to store your digital coins in 2018? Which one will be the most secure, reliable and convenient to use? This article will answer these questions and will tell you about various types of wallets for cryptocurrency, their advantages and disadvantages. First of all, let’s figure out what the wallets for storing digital coins are. Many people who do not fully understand this digital economy field can imagine an ordinary leather wallet in which coins are. But when it comes to cryptocurrency, then, of course, everything is different. After all, the purpose of electronic cryptocurrency wallets is to store digital coins. In general, a cryptocurrency wallet can be described as an information networked block. And the ownership of it is confirmed by a private and public key, that forms a private address. All of them are created with the help of mathematical calculations and figures and stored in a reliable system of Blockchain. In simple words, the place for storing the cryptocurrency is a special file containing your private and public keys. But the ways of storage this file will divide the cryptocurrency wallets into several types, which differ in characteristics and, of course, by security level. For example, the keys can be on any online service, a cryptocurrency exchange, a computer and any other device with Internet access. All these are “hot” storage wallets. There is also a “cold” storage of cryptocurrency, where your access keys are located on a special hardware (flash drive or hard disk) with no Internet access. But which of these types of wallets is better? We will go more into detail. This type of cryptocurrency wallets is very convenient to use. With their help, you can quickly log into your account and make a very fast transfer to another private address that you need. For example, this kind of wallet will be very useful if you need to transfer the cryptocurrency to the exchange for further sale. You can register this type of wallets on various websites, searching in Google or Yahoo. Using them is free, and registering your personal account is very simple. Or, as an option, you can create a profile on the exchange and store the coins there. However, these hot storage wallets also have their significant disadvantage – low security and high risks of losing your investments. • on a separate device without Internet connection or on a piece of paper. In the first case, when keys are stored on external site (resource), such as a cryptocurrency exchange or on some other online service, the chances of losing their investments are very high. You can even say that this is the most risky way to store crypto coins, because besides you, there are online services’ owners who have an access to your finances. So theoretically your cryptocurrency can be used by other people at their discretion. Therefore, it is strongly recommended that you store only the smallest part of your investments on such sources, which are necessary for fast transactions and transfers. In the second case, when access codes are stored only on your computer or other device with the Internet connection, the risks of losing your cryptocurrency are significantly reduced, since you are the only one who has the private keys to your finances. Accordingly, other people can not easily benefit from it. However, the risks of getting the account hacked are still great, as every day hackers come up with the new ways to steal digital coins from electronic devices. At the moment there are a lot of tools for cracking crypto. Most often these are phishing sites that are built as copies of original resources. For example, very often they forge the site for storing Ethereum – Myetherwallet, using contextual advertising Google (Figure 1). fake site with the look alike domain name and official website. And also there are virus programs hacking the PC system and giving a full access to it. Hackers distribute them via email, Internet advertisements, as known applications for PCs and smartphones, even through Wi-Fi in public places. In general, there are plenty of methods and the chance how to fall into a trap. Therefore, it is also not recommended to save your private keys in the browser (the function of remembering the account and passwords) on a computer or other device with the Internet. In the third case, when you register your private cryptocurrency wallet on a website, writing passwords on a paper (in a notebook) or to any device with no Internet connection (USB drive), the risks of losing digital coins are minimized. Although you keep your coins on the online service that provides storage services for your cryptocurrency, private keys are required to access them. Since you wrote them down on a sheet or copied to a USB drive, then no one will have access to them, except you. And even if hackers somehow hack your PC, they still cannot open your wallet, because the passwords are not saved in the computer. In general, this method of storing digital coins is the safest among those wallets that belong to hot storage. And yet, there is always a risk of getting hacked, never underestimate the greed and capabilities of scammers. For example, this can happen when you insert a USB drive into an infected PC or enter your data on a private wallet (this can be tracked and copied). For this reason cold storage wallets were created. They allow you to completely secure your money, even on an infected computer. Such wallets are extremely useful for those who have very large investments in cryptocurrency, which a person is not ready to lose and wants to protect them despite everything. This type of wallets is the most reliable storage for your crypto coins. In all the existence of the cryptocurrency no one could crack these wallets. The developers have taken a special care of their safety and reliability. A cold wallet is a certain device as a flash drive or hard drive that stores private keys in offline mode. They differ by producer, size and price. The most popular producing companies are Trezor, Ledger, Bitlix. In order to transfer cryptocurrency using a cold wallet, you need to connect the device to your computer every time to gain access to your account. Even the transactions are made online, but the work with private keys will be in the device itself. And the most interesting is that they are impossible be gotten from there. Therefore, even an infected computer with a lot of viruses will not be able to copy or crack keys from this device’s memory. This kind of hardware wallets is very reliable and safe. Developers give you a guarantee of 100%. And even if the device is damaged or lost, it can easily be restored and all your money will not be lost. But there are some drawbacks of these wallets. Firstly, these devices are not designed for fast operations. It will take some time before you connect the device, it will turn on and process the transaction. Therefore, if you urgently need to transfer the cryptocurrency to the exchange in order to sell it or immediately send it to someone else’s account, then cold wallets are bad for this. It will take a lot of time. Secondly, the use of these wallets is not free. In order to use them, you need to order a special device on which all your private keys will be stored. Its price is about 50 – 100 euros (it all depends on the producer). For some it may seem like a ridiculous price, given its huge investment in the cryptocurrency, and someone might not be able to buy such a device. Shortly, the safety of cold wallets is directly proportional to their price and convenience. They are recommended first of all to those who have huge investments in the digital currencies and there are many Bitcoins on their accounts that the person keeps until better times and wants to best protect them. For those who have only 100-1000 dollars of investment, these cold wallets may seem to be too much, and it is not worth spending extra money. Choosing a wallet for storing cryptocurrency is the first priority that a person who is investing his funds in crypto coins should give to. You can use both hot and cold storage wallets. Everything depends on your preferences and goals. To make fast transactions and to gain an instant access to digital assets, hot storage wallets are best suited. They can be registered on many websites or on the crypto exchange. There you will receive your private address and keys, which will need to be written down somewhere not to forget. The best thing for this is a notebook or flash card. In this case, it is not necessary to save such important information on PCs and other devices that are connected to the Internet. 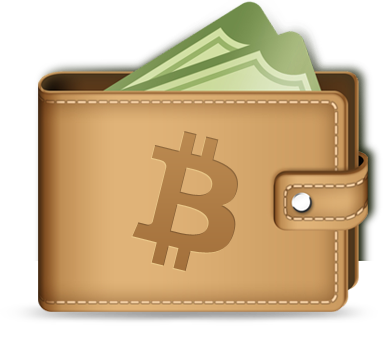 Such wallets are most popular and absolutely free to use. However, their security is not very high and there is always a chance that hackers will crack and steal all money. For maximum, even complete security, use cold storage wallets. They are not designed for quick work and the carrying out the instant transactions, but they are very useful for people with huge investments in cryptocurrency, which need to be protected at any cost. For the use of such wallets a special deviceб which costs 50-100 euros, is needed to be ordered. If you lose or damage it, of course, you can easily replace it for a price. Which wallet to use is the choice of each individual. When you have to choose between the security of your finances and the quick access to them, your preferences become obvious.